Over the past decade, multiple industries have made a collaborative effort to further women’s equality in the workforce, primarily by increasing women’s salaries to match male counterparts and active participation in female focused initiatives. For those who think this is “just a phase of a current social climate,” think again. Many studies present conclusive evidence to demonstrate that companies who not only hire more women, but also place women in higher positions, typically do better business and achieve better results. Women in the workforce is a growing trend across all sectors. But even with all of the hard data substantiated by reputable sources, proving women add substantive value, it still seems some industries are set in their ways, specifically the EMS community. According to the National Registry of Emergency Technicians, 75% of nationally certified EMS professionals in the United States are male. So, while it may seem like this trend will continue, there is actually much more evidence to suggest the contrary. 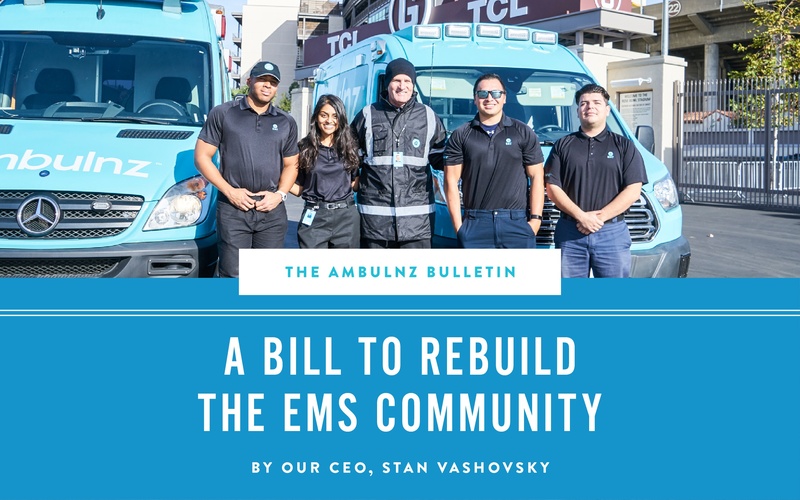 Health-care policy makers are pushing initiatives to decrease the “you call, we haul” approach and move into a more cost-effective, practical model of EMTs providing regularly scheduled house calls. 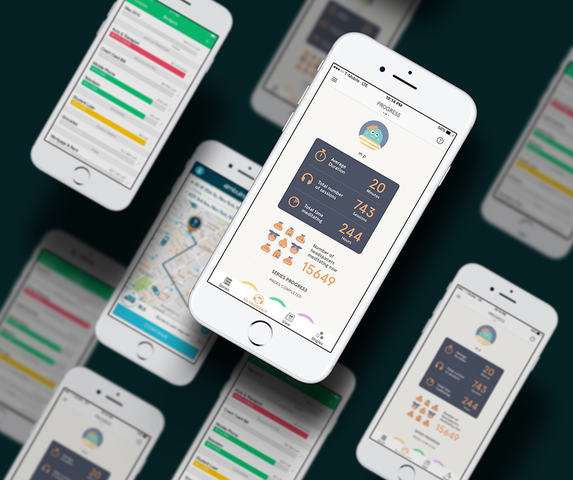 With this revolutionary shift into the healthcare delivery space, the need for a “woman’s touch” becomes much more important than brute strength. There are also studies that demonstrate women are calmer in stressful scenarios then their male counterparts. The mental toughness and emotional wherewithal needed on the job cannot be underestimated. 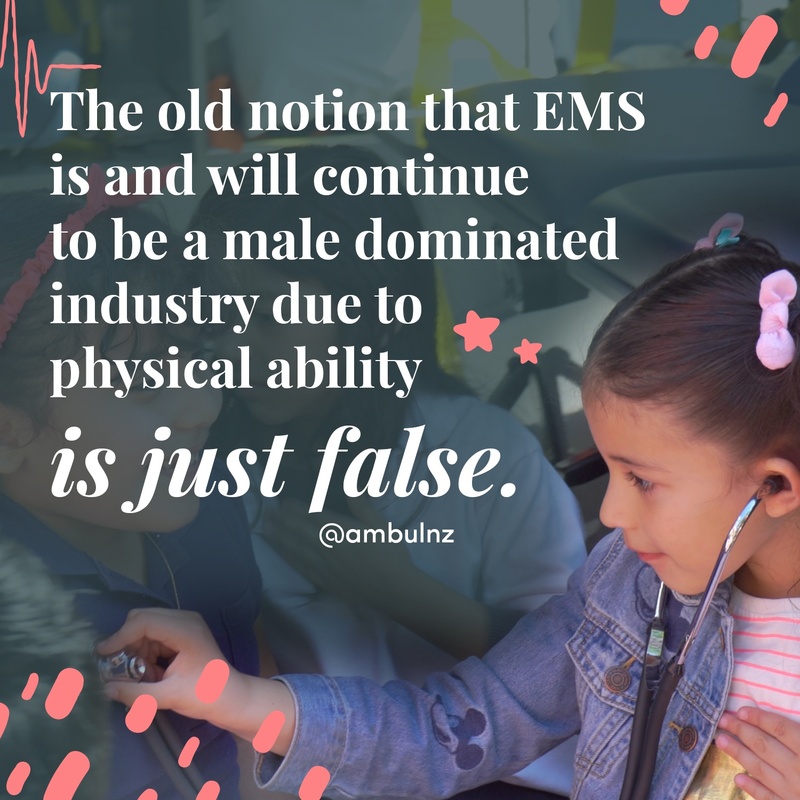 Speaking from personal experience, the old notion that EMS is and will continue to be a male dominated industry due to physical ability is just false. With the development and advancement of new tools, technology, and training, any female can do the job as effectively as a male. I have worked side by side with female EMTs using appropriate lifting techniques, lifting bariatric patients, and safely transporting patients to and from medical facilities, without electric gurneys or stair chairs. Some of our most productive and requested EMT's are currently women. But it’s not just our company or patients that value women EMTs, check out the all-women EMT service, Ezras Nashim. They recently received the EMS agency of the year Award from The Regional EMS Council of New York City.